Batemans Bay Amateur Radio Society Inc.
Albury Wodonga Amateur Radio Club Inc.
Lake Hume Amateur Radio Group Inc. Snowy Mountains Amateur Radio Club Inc. 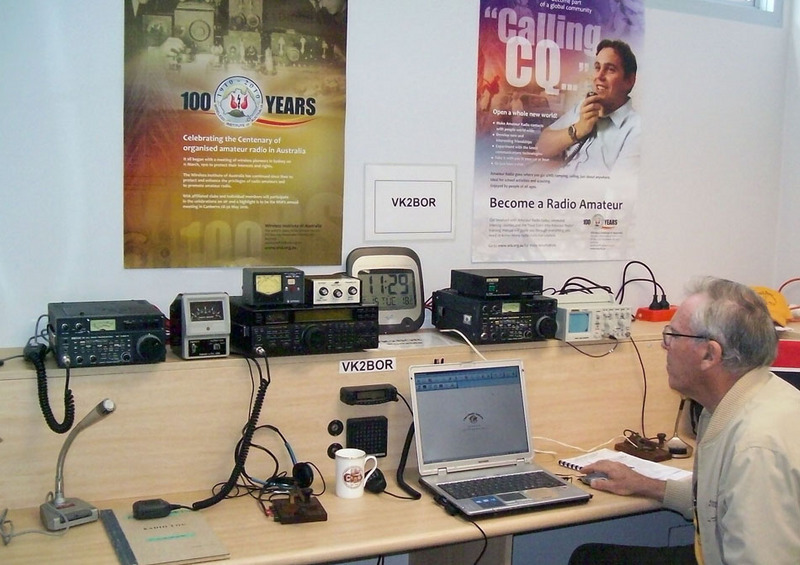 The club aim is to foster the hobby of Amateur Radio and associated electronics. To encourage persons interested in the scientific development of radio communications and associated electronics. To provide a centre for people in Amateur Radio and associated electronics where they may receive and give instruction and advice on matters pertaining to Amateur Radio Communications. To promote and hold either alone or jointly with other associations, Clubs or persons, competitions, trials, exhibitions, seminars and offer, give or contribute towards prizes, medals and awards and promote, give to or suport worthy projects. To liaise with appropriate Authorities on matters of policy pertaining to Amateur Radio as a hobby. To pursue such other matters deemed necessary or desirable in bona fide furtherance of the aims and objectives of the club and the interest of its members. The club was founded at Port Macquarie on Saturday the 2nd of October 1971 and celebrated its 40th Anniversary in 2011. The next Monthly General Meeting will take place at 2pm on Saturday the 6th of April 2019 at the SES Building, 13 Central Road, Port Macquarie. The April Friday night get together will take place at 7pm on Friday the 26th of April 2019 at the SES Building, 13 Central Road, Port Macquarie. The April get together is on the 4th Friday of April as the third Friday is Good Friday. The ORARC 44th annual Field Day will be held on Saturday and Sunday the 8th and 9th of June 2019 during the June 2019 Queen's Birthday Long Weekend. Visitors and members are cordially invited to attend. The venue will be the Wauchope Showground Hall in High Street Wauchope. There will be all the usual Field Day attractions with fox hunts both days, disposals; bring your items to sell, no commission charged, barbeque lunch both days with bacon and egg breakfast available on the Sunday morning. Sunday is the trading day. The Field Day dinner is at 6 pm on the Saturday night in the Seaview Room at the Port Macquarie Golf Club with a menu to suit all tastes. The Wauchope Showground permits camping and is pet friendly. For two people an RV or caravan is $20 per night and a tent is $10 per night with power and the use of toilets and hot showers. Contact the on site caretaker 0475 111 074 for bookings. Club nets are conducted at 09:00 hours local on the 146.700 VK2RPM repeater every Sunday morning and every Thursday evening at 19:30 hours local on the 146.700 VK2RPM repeater. All welcome. Please note that the VK2RPM 146.7 MHz repeater requires a 91.5 Hz CTCSS sub audible tone for access. 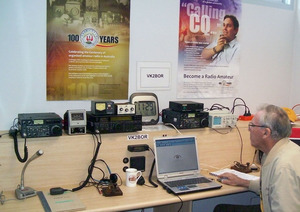 All levels of Amateur Radio Training. A training and assessment weekend will be held for the Foundation Licence as soon as the new arrangements for assessments are in place. Candidates for all grades of licence should contact Learning Organiser Larry Lindsay VK2CLL as soon as possible. His details appear below.